Institutional and retail investors are becoming increasingly aware of the potential risk and value impact of environmental, social, and governance (ESG) factors, and their potential effect on an investment profile. A common motivation for integrating ESG into the investment process is to actively manage key factors that are believed to be important drivers of risk and returns. In this context, ESG factors are seen as both a risk and an opportunity to select better-managed companies. 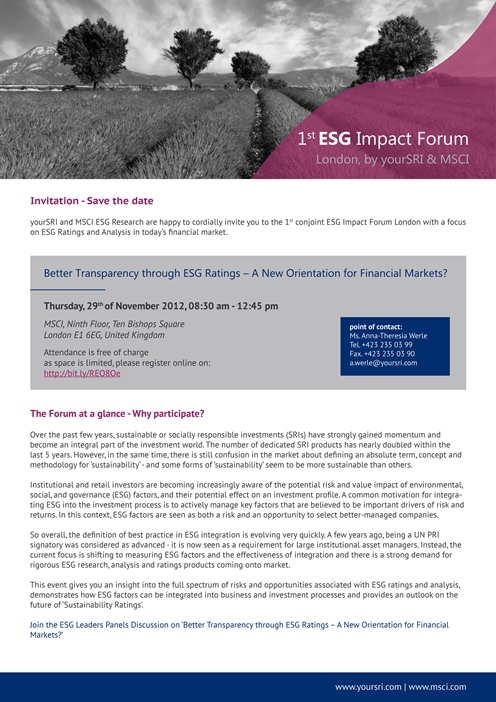 So overall, the definition of best practice in ESG integration is evolving very quickly. A few years ago, being a UN PRI signatory was considered as advanced – it is now seen as a requirement for large institutional asset managers. 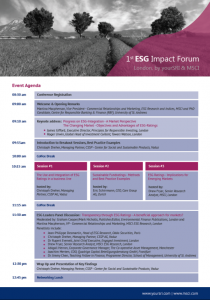 Instead, the current focus is shifting to measuring ESG factors and the effectiveness of integration and there is a strong demand for rigorous ESG research, analysis and ratings products coming onto market. 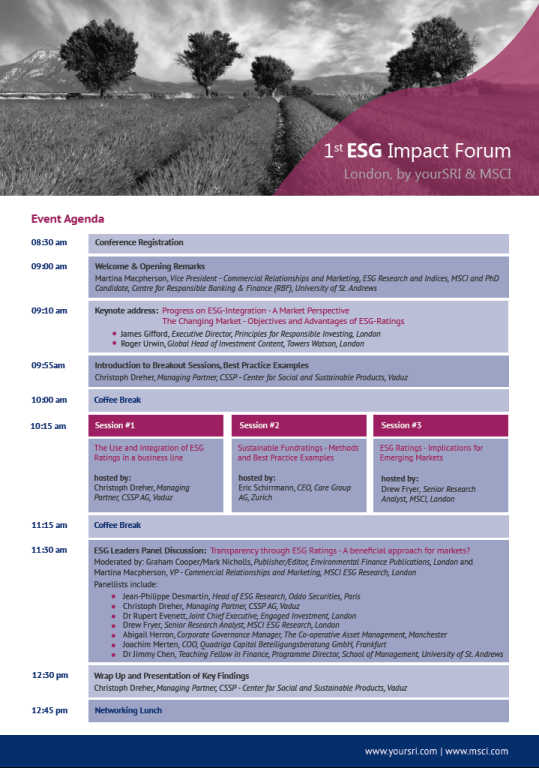 This event gives you an insight into the full spectrum of risks and opportunities associated with ESG ratings and analysis, demonstrates how ESG factors can be integrated into business and investment processes and provides an outlook on the future of ‘Sustainability Ratings’.